As the academic year comes to a close, prepare for vacation time with our round up of fun summer camps and workshops. Be it robotics, cooking or personality development workshops, there are a host of interesting activities to keep your children busy and productive. Activities: With an aim to create young actors, The Little Theatre is organising a workshop where children will learn acting, dance, script writing and prop making. 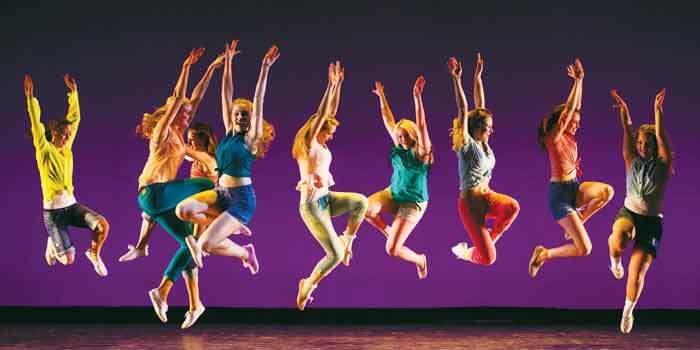 The workshop will be conducted by their artistic director, Krishnakumar Balasubramanian. Activities: Wild Life with Vanilla is organising two mobile workshops. In the first, children will be taken to a nearby sanctuary where they have to write a script,A� direct, act and work on post production. 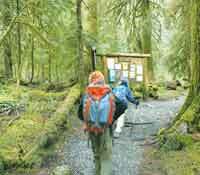 The second is for kids aged five to nine, and is about understanding forest vegetation, flora and fauna. Children have to bring cameras, trekking shoes and clothing. Activities: Moving away from indoor activities, Wishbone introduces a moving tour that has wildlife tracking, birdwatching, photography and more. The other activities include bush whacking, tree climbing and night walks. 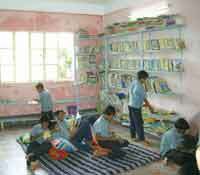 With accommodation in dormitories, the number of participants is limited to 18. Age group: Eight to 15. Activities: In its fifth edition, Summer Intensives for Young Learners has come up with a�?Around the World in 15 daysa�� that includes speaking skills,A� grammar and vocabulary,A�group discussion skills, self strengths and weaknesses and more. Activities: Activities are split depending on the age group. For kids between three and six,A� the classes include rhythm and drums, construction and building, storytelling, everyday science, pottery and paper craft. And for those between six and12 years, the workshops include basketball, filmmaking, robotics and zumba. Location: Alchemy Kids Theatre, Adyar. Activities: Split into levels, the junior camp includes a theatre workshop, story telling and crafts likeA�origami, paper quilling and paper bag making. The senior camp has personality development, dance, writing workshops, basketball and filmmaking. Location: Vanilla Activity Center, R A Puram. Age group: Two and a half -12. Activities: You could either send your little chef to three different cooking workshops or let them shake a leg to zumba and Bollywood. Also look out for workshops on creative writing, public speaking, live music, and carpentry. Activities: This one is for kids who love speed. 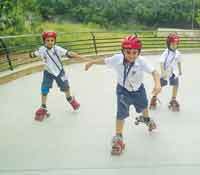 TheA�Chennai Lions Rollerskating ClubA�is having their 15-day basic skating class. There are three batches, with a duration of one hour each. Age group: Three to 15. Location: Royal Madras Yacht Club, Thousand Lights. Age group: Above five. Activities: The first week of the workshop begins with cooking and table etiquette, followed by sailing at the Royal Madras Yacht Club, photography, creating a book and watching movies on the mysteries of space. 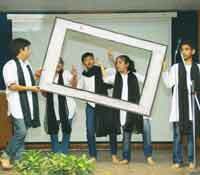 It Is almost a decade since Chennai theatre group, Masquerade, began the production of The Island. But for various reasons, it was shelved. The play by South African playwright Athol Fugard was first performed in 1973, during the Apartheid regime. Now, as part of the 54th World Theatre Day (March 27), Masqueradea��s artistic director Krishna Kumar Santhanagopalan, or KK as he is popularly known, is finally staging it. a�?The Island is very relevant today, when we are dealing with RTI, civil society activism, whistle blowing, WikiLeaks, Edward Snowden, etc,a�? says KK, who hasna��t watched the original yeta��he wants to wait until hea��s done producing this. a�?The Island is about two prisoners serving life sentences on Robben Island (the prison where Nelson Mandela was imprisoned),a��a�� adds KK. a�?a�?They go through a harrowing daily work routine, depending on the whims and fancies of the wardens. Ironically, they are also rehearsing for a performance of Sophoclesa�� Antigonea��a play against oppressiona��in order to make a statement about their condition and rights to exist, to freedom of expression.a�? In 1973, when Fugard staged the play with his two coloured actors, John Kani and Winston Ntshona, it broke ground. Its London premiere brought a lot of attention to the issues of apartheid and racism in South Africa. But in todaya��s scenario, where a play like Ali J (Evama��s production about Jinnah in prison) was banned, would The Island upset sentiments? KK isna��t worried. a�?Personally, I feel nothing can create unrest in Chennai except Neil Simon and S Ve Shekher. Or perhaps Shekher and Crazy Mohan walking together in Phoenix Mall,a�? he laughs. Shrivatz Agaram and Aravind R Vyaas, two of Masqueradea��s new breed of actors, will be helming this two-hander. a�?They are attempting a full length role like this for the first time, so they have been training a lot. But we do need to take risks, otherwise art will be innocuous and tepida��like the run-of-the-mill theatre in Chennai. Therea��s no serious ideology or politics in theatre here,a�? says KK, who wants to bring serious drama back to Chennai and give audience a break from a�?cosmetic theatrea�?. Incidentally, Masqueradea��s next production, in June (also their 20th anniversary production), will be Antigone. Drawing largely from Sophoclesa�� original, it will also have material from poets and dramatists like Friedrich HA�lderlin, Bertolt Brecht and Jean Anouilh. a�?Having done two heroine-centric Greek classics (they debuted with Electra in 1994 and did Medea in 1999-2000), I have been waiting for the right opportunity to do Antigone. Now my cast actually wants it,a��a�� he says. IT IS that time of the year when theatre groups unite and work together to give us a selection of plays. 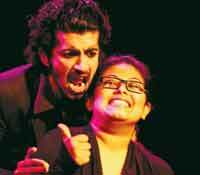 In its fourth year, Kichadi Theatre, organised by Freddy Koikaran, the head of Stagefright Productions, will see seven plays by 30 actors. An experiment started four years ago, this year, seven directors have been identifieda��namely Sreekumar Varma, Rajiv Rajendra, Shekinah Jacob, Sunanda Raghunathan, Jayashree Venkatesan, Meera Sitaraman and Naren Weiss. a�?They have been given the task of writing a 10-minute play featuring three-four characters. They were allotted a week to write the script,a�? 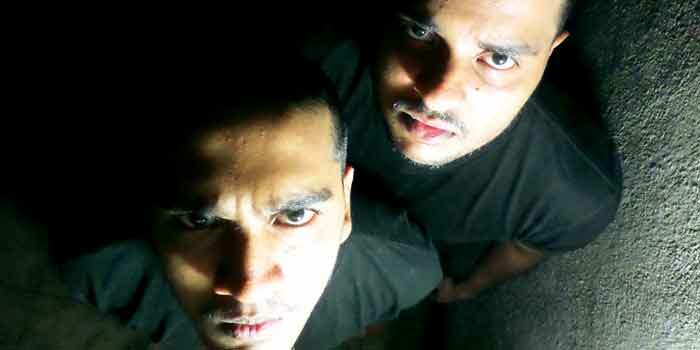 says Koikaran, who started Kichadi Theatre along with Mathivanan Rajendran from Stray Factory.A� This year, Koikaran decided to call for entries for actors. a�?We selected the directors but we wanted to choose the actors, too. Also, last year, we only had actors from theatre groups. This year we want to leave it open to individual actors as well, who do not want to associate themselves with a particular theatre group,a�? says the director, pointing out that there have been more than 75 registrations for actors. The Kichadi format has benefitted the theatre groups in Chennai and Balakrishnan Venkataraman from Theatre Nisha says, a�?a�? It is great fun working with new people. In fact, I discovered a lot about my directorial ability and the entire format poses a challenge.a�? 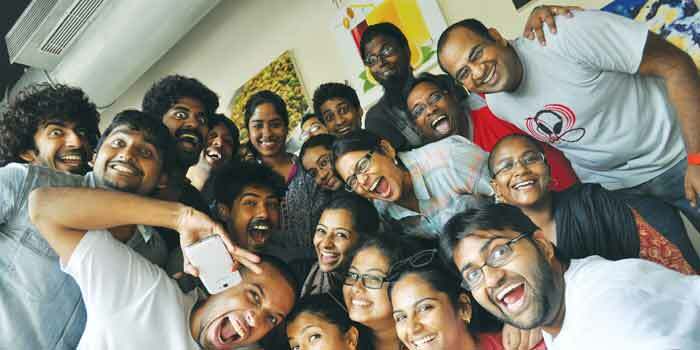 Designer Mridulika Menon Madiraju has a lot to celebrate on April 1. Besides her flagship boutique in Alwarpet turning two, she is ready with her all-new Spring/Summer line, Ixora.A� Inspired by the namesake blossom commonly found brightening Chennai gardens, Madiraju shares that, a�?I have incorporated its colours in our summer collection. You can expect bright pinks, yellows and oranges.a�? Madirajua��s latest offering uses hand-crafted cottons and light silks. a�?We have smart tunic dresses, silk skirts, cropped tops and kurtas,a�? she says. Known for her versatile silhouettes, the 35-year-old talks about the past two years. a�?Wea��ve learnt so much from our discerning customers, who we like to call the global Indians,a�? she says. The daughter of textile designer Arundhati Menon, who started Shilpi boutique more than three decades back, Madiraju says, a�?She (my mother) instilled in us the need to revive and promote handwoven, natural fabrics.a�? In the past two years, the busy a�?mompreneura�� believes that Samasta has done just that by establishing the timelessness of Indian textiles. a�?You have to appreciate these as works of art,a�? says Madiraju in conclusion. Gaurav Gill gears up to defend his title. Meanwhile, two of the youngest rally drivers in the country look forward to the 2014 season, and we browse through the countrya��s best rally cars. Rally racers may not be as popular as the track racers who have represented the country, but Gaurav Gill is the first Indian to win the FIA Asia-Pacific Rally Championship (APRC) with Team MRF Skoda last year. 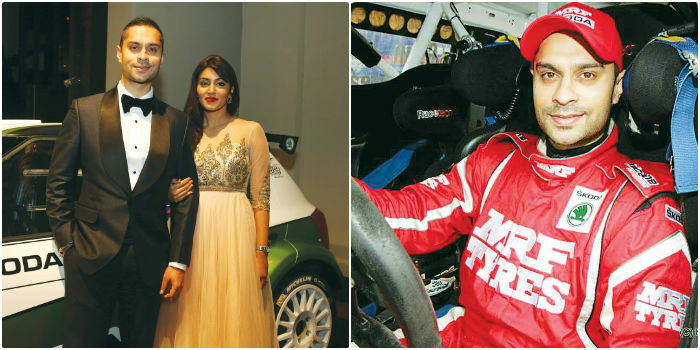 The racer from New Delhi, who learnt to drive when he was just nine, tested for the JK Tyre rally team as soon as he turned 18, and has not looked back since. a�?My uncle told me that if you had good car control, you could be a good rally driver. So I practised a lot,a�? says Gill, referring to his uncle Dicky Gill, who was also a rally racer for two decades. 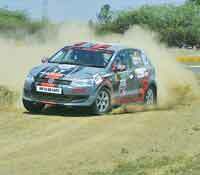 His first win was at the South India Rally, where he came in overall third, but won in his category. a�?It was at the Chennai track,a�? says Gill, who was also a national level tennis player and bike racer before he took up cars. a�?The city is special to me. 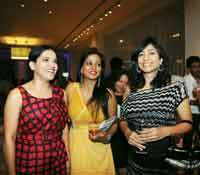 I met Shilpa (his wife) there,a�? adds Gill, who has his hands full with his car care store, writing a column for a magazine, and looking after his two-year-old son, Aryan. Fitness: We drive 12-14 hours a day. This requires a lot of endurance training. I dona��t work out in the gym. I do TRX training and CrossFit training, which are newer forms of body function training that use your own body weight. They are high intensity workouts and can be done in 30-40 minutes. I work out four times a week. APRCA� stages: The APRC is the toughest because of the conditions a�� from super smooth roads in New Zealand to rocky, slippery terrain in New Caledonia. The Australian rally is through forests and the Japanese is the most enjoyable a�� mountain stages with lots of drifts. Malaysia is famous for its palm oil plantations a�� you are literally driving on moss there, and cannot apply the brakes. You have to rely on engine braking, and in-car temperatures can go up to 60A� there. China is rocky, twisty and mountainous with 1,000 corners and around 3,000 gear changes. Indian rally stages: India has beautiful terrain. Wea��ve had a lot of championships in the mountains of Himachal and Chandigarh. 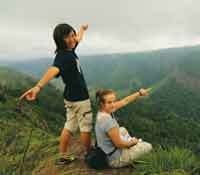 Therea��s also the ghats of Nashik and the mines of Karnataka. Further down, Kerala has beautiful stages near Munar. And how can I forget the windmills near Coimbatore (Palladam)? The tea estates of Chikmagalur qualified as an Asia zone last year. It will be great to see the APRC happen there. The pace note system: I had the biggest crash of my career because I got the pace note system wrong. This is a numeric system that is created by the rally driver. We do two reconnaissance runs during which the driver instructs his co-driver on angles of turns, corners, etc. So while racing, if the co-driver calls out a a�?4Ra��, it would refer to the severity of the upcoming right corner. This is the only system we have. Advice to newcomers: You cana��t rally stock cars. They need to have a roll cage and good suspension a�� poor suspension can make even the best driver look bad. Only then comes the engine. Favourite wheels: I own a BMW 5 Series. I swear by BMW a�� nothing else does it for me. It is a drivers car with good handling more power, and looks good too. Fans: The Japanese have amazing passion for the sport. The kids make collages of their heroes and last year, I came across a Japanese fan who made miniature replicas of my Skoda and got me to sign it. He has a collection of these. As any motorsport expert will tell you, age can be a vital factor in making champions. Especially in a country like ours, where it can take years of hard work before a talent can get the right kind of recognition and sponsorship to compete internationally. Aspirants are aware of this today, and sign up for racing as soon as they turn 18. 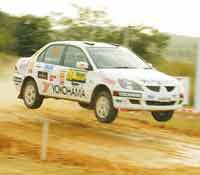 At 25, Karna Kadur has entered 16 rallies, won 12, had three podium finishes and toppled his car once. a�?That was in Nashik in 2010. It was my first race with the Cedia and I did not have one of the bumps on my pace notes,a�? recalls the youngster from Bangalore. Encouraged by his father, Prakash Kadur, sister Vydhehi Kadur and cousins Sandeep and Sandesh Kadur a�� all racers themselves a�� he entered his first rally in 2009 and won the junior cup of the INRC that year. He has been with Bangalore-based tuners Red Rooster Racing since. a�?Tuning was something I was always interested in.And the more technical knowledge you have, the better you can drive,a�? says Kadur, who is one of the few rally drivers who double as tuner. a�?Getting a Cedia race-ready can cost around `15 lakhs. You need to go in for a suspension worth at least `7 lakhs to be able to compete,a�? shares Kadur, who hopes to get back in the drivers seat this year, after a year off in 2013. a�?If not in the first race, I hope to join at least from the second race in Coimbatore,a�? he signs off. His parents Austin and Jacintha Mascarenhas were a rally driver and motocross racer respectively. So you will understand that this Mangalore lad, now 20, has been biking since 12 and rallying since 18. 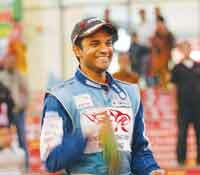 In his 2011 debut, he drove four rounds of the Indian National Rally Championship (INRC) and won three of them. Mascarenhas, who won Most Promising Young Driver at the Coffee Day Rally (Chikmagalur) in 2012, has entered 11 INRC races and won seven (four first places).A� a�?I am not the fastest, but I hope to be someday. Therea��s not much pressure and I am confident because I match the pace of the other drivers a�� except Gill of course, he is way too fast,a�? laughs the final year B Com student of St Aloysius College, who is looking forward to the INRC 2014 that starts in July. a�?Stamina and good reflexes are a must to rally, so I do a lot of endurance training. Ranjith Ballal who prepares my cars, other racers like Leela Krishnan, and my dad, all give me pointers for my races,a�? says the youngster who dreams of driving a WRC Polo someday. a�?It has about 315bhp, versus the 110bhp of the Polo I drove last year.a�? The Esteem was launched two decades ago and is still used in various forms of Motorsport. Since it is light weight and features a reliable 1.3-litre engine, it is ideal for rallying. The car even features an independent rear suspension, a feature not seen in more expensive road cars these days. This off-roader has been around for almost three decades. 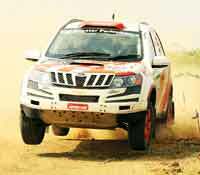 The vehicle is still in production and is one of the most popular Indian rally cars ever. Initially powered by a 1.0-litre petrol motor, the Gypsy was later upgraded and featured the 1,300cc engine used in the Esteem. This increased power considerably and has helped it win rallies, including the worlda��s highest rally, the Raid De Himalaya. This is the first Indian SUV that makes its way into the INRC. The all-wheel drive vehicle has performed well in the Desert Storm rally as well. Though not yet homologated it will soon star in the SUV class in the INRC. In the unrestricted class in 2013, the modified rally XUV even went on to beat a few fast rally cars. 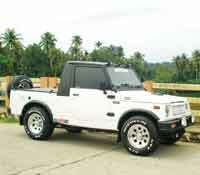 It is also one of the few diesel rally machines in India. The first generation Honda City VTEC is the only Honda that has been used in rallying. The powerful 1.5-litre VTEC engine helped it destroy competition and as a result, the Team MRF City VTECs won three National Championships consecutively from 2001 to 2003 without any manufacturer support.A� The car is known for its low weight and strong drivetrain and also features independent rear suspension. The Baleno is ideal for competitors upgrading from an Esteem. It features a more powerful 1.6-litre engine, better high speed handling and independent rear suspension. The car has claimed a number of National Championships and used not just by privateers but rally teams as well. The Cedia features a large 2000cc engine and a very capable chassis. It was the first non-Maruti Suzuki car used in rallying after a very long time. However, the road car didna��t sell high numbers in India and there is no manufacturer support, so finding spares is tough. The Polo is the only hatchback seen in the rally grid. It was launched in India featuring a larger 1.6-litre motor and hence made it to rallying. Despite not featuring an independent rear suspension, the Indian Polo is known for its agility and impressive performance. Rally privateers and teams are slowly replacing the Baleno and even Cedias with Polos. Volkswagen even offers the car at a subsidised price to teams and individuals who wish to rally. Known for her bold European designs, city-based designer Rehane Yavar Dhala is all set to showcase at Wills India Fashion Week, Fall/Winter 2014 edition, which began on March 26. 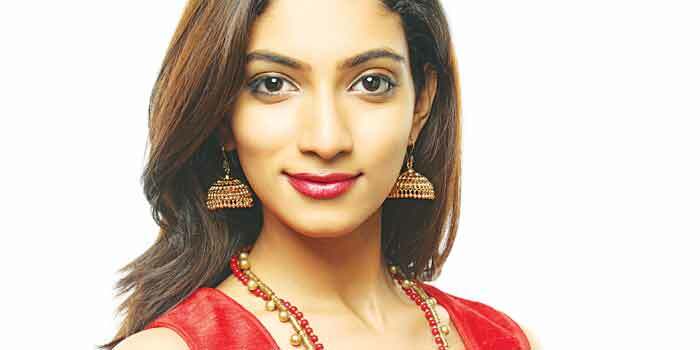 Talking to us before heading to the capital city, she shared pointers on her latest collection and why she has been one of the few South Indian designers to be consistent at the countrya��s two big fashion events. a�?I think Ia��ve been consistent because of my passion for what I do. Ia��ve had no sugar daddies. Ia��ve been making it work with my own resources,a�? Dhala says when asked if lack of sponsorship is what prevents designers from Chennai making it big at the national level. a�?I do hope the fashion industry scouts recognise talents from other cities, because there is good talent around,a�? the designer adds. As for grabbing prime slots at fashion weeks, she says, a�?Therea��s not much lobbying. In fact, I dona��t bother about the slots at all because I go to fashion weeks for the business aspecta��it is a chance to meet buyers. Ia��m quite happy with my time slot at Wills. Post 5 pm on a Saturday evening is great,a�? she says. On the upcoming Fall/Winter collection,A� a�?Austerea��, Dhala says, a�?you will see fluid lines. It is very elegant, yet feminine,a�? she adds. 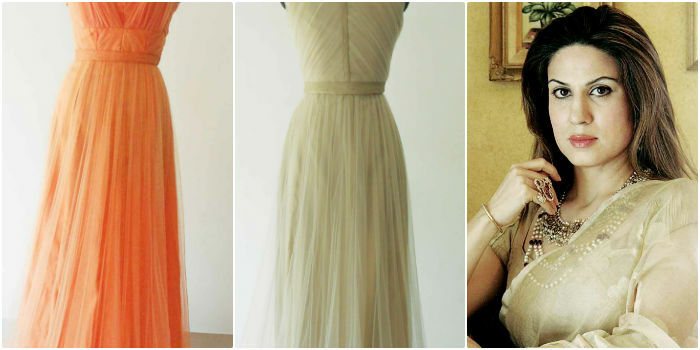 Expect longA� dresses with design influneces from the Middle East. She has also used red lining in her outfits. a�?So you will see reds peek out as the models move on the ramp,a�? she explains. Other than that there will be colours like burnt oranges, nudes and mustards. a�?My designs seem to come back on to the ramp in some way or the other. It is nice to take inspiration from each other,a�? she says on designers like Swapnil Shinde and Anju Modi releasing their own versions of Alice in Wonderland, something Dhala had showcased in 2009. The designerA� was also one to revive churidhars with gatherings and to use gota patti work. As for current trends like steel silk by Rajesh Pratap Singh and Woolmark tying up with Rahul Mishra, Dhala says she is a�?proud of them.a�� a�?Like I said before, it is great that good talent is being recognised. It should happen more often. 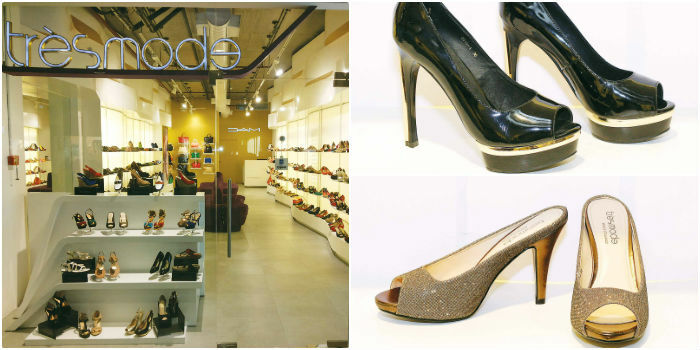 For those with a shoe fetish, the barely two-month-old Tresmode store at Express Avenue mall, is a must visit. Known for their trendy footwear, this three-year-old Indian brand imports their collection from Italy. There are stores in Bangalore and Kochi in the South,A� as well as Kathmandu. We got talking to Jagdish Kumar, regional heada�� sales, South India, on the branda��s plans and their hottest selling pieces of the season. According to Kumar, bright colours are in as far as shoes are concerned, and neutral shades like black, cream and chocolate are in for bags. a�?Neon colours have been doing well in footwear, too,a�? he adds. You will find heels and flats in colours like corals, mustards and blues.a�?We dona��t have any mid-level or kitten heels,a�? Kumar says. The reason Tresmode hasna��t altered its designs to cater to the wedding market is because,A� a�?a lot of our clients are independent working women, aged between 18A� and 35 years,a�? says Kumar. On par with brands like Aldo and Charles & Keith, Tresmode is associated with events like the Lakme Fashion Week, Mumbai, where they sponsor shoes for some of the shows. Interestingly, Tresmode had tested the Chennai waters three years ago, when it was introduced in a multi-brand outlet and had received a tepid response. 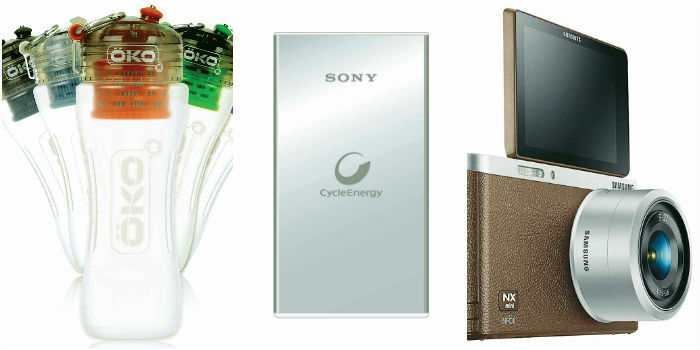 a�?We felt sure of the market when we saw international brands perform well recently,a�? Kumar confesses. The hottest piece according to Kumar is the Lady Gaga shoes with studdeds heels. 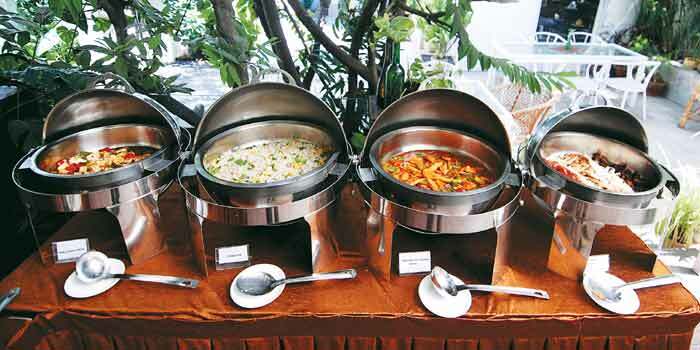 A Sunday brunch in the city isna��t usually easy on the pocket. And if you try everything served up in your uptown five-star hotel, it isna��t easy on the stomach either. 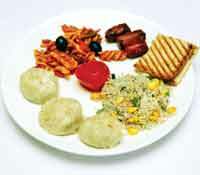 Ashvitaa��s spread breaks through both these notions, providing a decent-sized variety priced at a delectably low Rs. 350. Introduced last week, we were piqued to see exactly what the bistro in Abhiramapuram would be able to provide for a price that they normally charge for two sandwiches. Neatly laid out on three tables in their outdoor area, there are a choice of rolls and fresh juices, which are brunch staples. Breaking away from tradition, Ashvita places their dessert right beside the rolls, so quite a few happy a�?brunchersa�� were digging into the cupcakes and carrot cake at the start of their meal. The cupcakes were a disappointment though, and nowhere close to the moist delights that we have come to savour at Ashvita. Despite heavy traffic and it being a workday, invitees of the exclusive Style Extravaganza by The New Indian Express, in collaboration with PC Jeweller and Manish Malhotra, arrived enthusiastically for the much-anticipated cocktail reception and fashion show at the ITC Gardenia. Victor Britto, investment director, Maxus, with his beautiful wife, Sandra, Sharad Sharma, MD of the State Bank of Mysore, and Vijay Kirloskar, MD of Kirloskar Electric Company, made it to the venue well in time to catch the buzz that was all over the city during the last week. 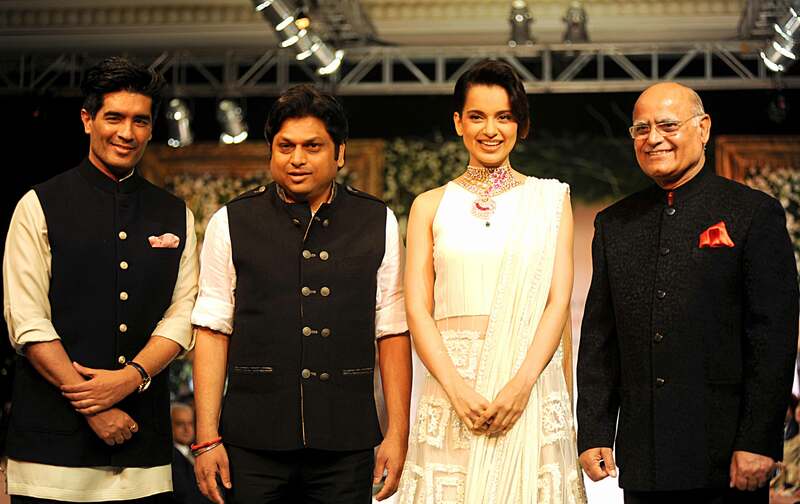 Word was already out that Manish Malhotraa��s summer collection would be ravishing, PC Jewellera��sA� ornaments dazzling and the show-stoppera��the stunning Kangana Ranaut herself, would make a much-anticipated dramatic appearance. Perfectly timed, with her film Queen busting the box office charts. And so, over a fine array of single malts, French wines and other imported spirits, thanks to the generous Madhuloka a�� the Liquor Boutiquea��and delightful hors da��oeuvres, the swish crowd present sipped, nibbled, mingled andA� finally made their way into the grand ballroom to catch the show. From Latha Reddy to Anisha Bhandary, and filmmakers such as Sapana Singh Appaiah and Malini Alkat, the buzz of conversation gradually built up, then subsided as the models began their strut down the ramp. Appaiah, who returned from Nepal just for the event, says, a�?The exclusivity of the event is remarkable. 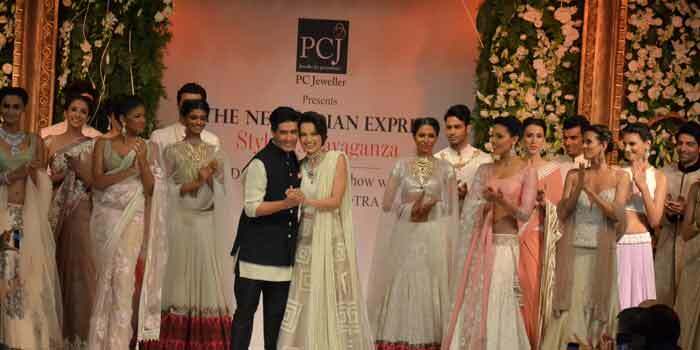 Of course, the regal jewellery and the classic designs by Manish Malhotra make it a very special night to remember.a�? The models, both male and female, showcased Manish Malhotraa��s finest designs, perfectly complemented by the incandescent jewellery from the house of PC Jeweller. Malhotraa��s fresh and feminine collection included blouses, saris and lehengas in peach, cream and pink. The men held their own with impeccably cut bandhgalas and stylish jodpuris. PC Jewellera��s dazzling pieces ranged from heavy duty diamond chandeliers to intricate Victorian pieces lightly embellished with precious stones. The necklaces made a huge impact, ranging from traditional temple-art style with chunky links to delicate layered pieces in dazzling diamonds and gold. 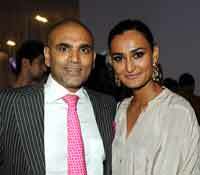 Manish Malhotra, the a�?King of Indian Fashiona��, kept Bangaloreans riveted with his latest collection, A Summer Affair. It was a collectiongeared towards the Indian bride and a stylish summer wedding. The bling was softly understated, the colours delightfully feminine, and the embroidery work, masterful. The palette moved from midnight blue and burgundy to coral, beige and cream, while light drapes in chiffon and tulle were contrasted with rich fabrics of velvet and raw silk to lend structure and texture. He also introduced interesting new embroidery techniques and motifs to the collection. The collection had a predominantly pastel palette and fine embellishment, with contemporary touches like zip saris, summer skirt lehengas with pockets, dress-style kurtas and slim pants and bandhgalas teamed with Patiala pants for men. The highlight was the choli with a well-defined bodice contrasted by a sheer net back.